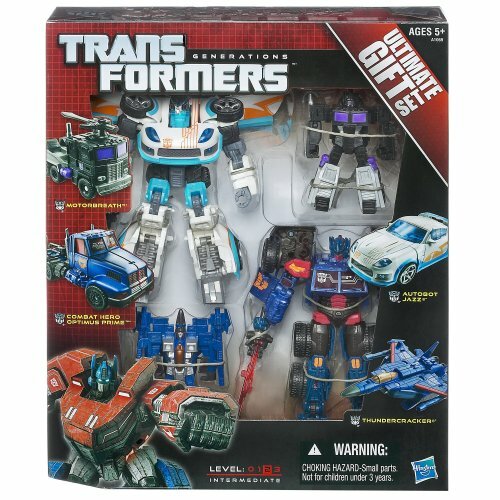 This Ultimate Gift Set has every little thing you want for a truly spectacular showdown between your Autobot heroes and their Decepticon arch-enemies! It's all as considerably as you! 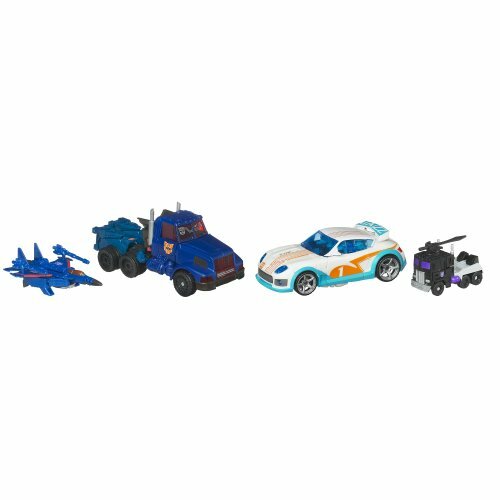 Will your Thundercracker figure's aerial mastery and your Motorbreath figure's raw energy overcome your Combat Hero Optimus Prime figure's might and your Autobot Jazz figure's specific operations genius? 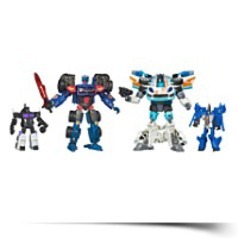 Pit your Combat Hero Optimus Prime and Autobot Jazz figures against your Motorbreath and Thundercracker figures. 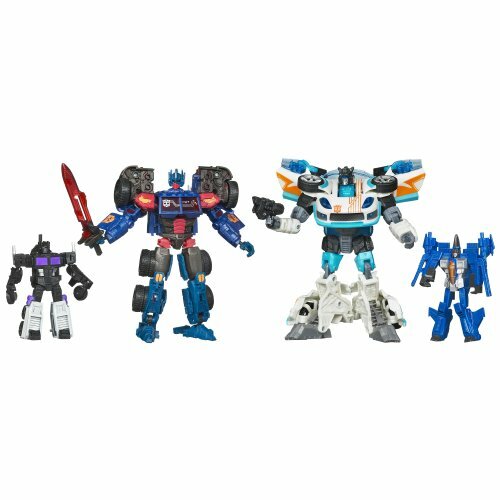 Product Dim. : Height: 12.01" Length: 2.01" Depth: 9.76"
Package: Height: 2.6" Length: 12" Width: 9.7"